We would like to thank all our sponsors who have committed to support GEMSA in 2019. Their sponsorships allows us to maintain our registration costs so we can keep the GEMSA conferences affordable for each EMS professional in the state. Please show them your thanks by seeking them out when you need information on their types of products or services, and make sure to visit them in the exhibit halls at our conferences! Today, Air Evac Lifeteam is part of Air Medical Group Holdings, the world's largest air ambulance service. Air Evac has more than 130 bases across 15 states. Air Methods has a talented workforce of over 4,500 team members, which includes the best in the air medical industry. We are pilots, clinicians, mechanics, air communications specialists, support teams and many more. We’re ready to answer the call because we know someone’s life is on the line. We dedicate ourselves around the clock to maintain equipment and supplies, coordinate logistics and relentlessly provide the tools and expertise that allow us to give more tomorrows. Bound Tree Medical originated 40 years ago, when David Currier, an entrepreneur, politician, and former Emergency Medical Technician, started a small emergency medical supply company in Henniker, New Hampshire. Since Bound Tree's inception, they've worked hard to help EMS providers save minutes and save lives. With over four decades of experience, they are a partner you can count on to provide you with the right products, services and support. Bound Tree Medical, LLC has acquired Southeastern Emergency Equipment, Inc. Bound Tree Medical will assume full operation of the Southeastern Emergency Equipment business under the Bound Tree brand name. Bound Tree Medical and Southeastern Emergency Equipment will work together to ensure customers continue to get the products and services they have come to trust and expect. Digitech’s billing system was developed by combining smart software developers and lifelong ambulance billers. Through 25 years of processing, resolving, and automating every kind of billing problem, then testing and refining results, our proprietary set of billing tools was born. With incredible reporting power, Digitech is able to out-collect any other system available and never has a compliance problem. Because we own the system, we can respond quickly to industry changes and customize interfaces to suit client needs. We are engineers, developers, EMS experts, EMTs, former EMS directors, former Fire chiefs, medical transportation specialists, editors, and certified coders working exclusively for the EMS industry. 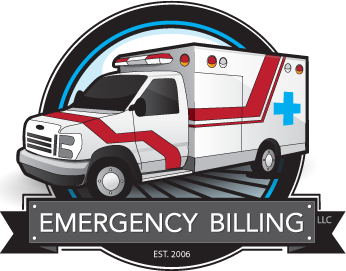 We build and deliver ambulance billing services that focus on compliance, reporting, and maximizing collections for our clients. LIFE FORCE serves patients who have suffered any kind of severe trauma or burn, as well as severe medical illnesses. Each aircraft has equipment and the trained staff to care for people in all stages of life, from infants to geriatrics. LIFE FORCE may also be utilized in some situations, in search and rescue missions. The Erlanger Health System is a multi-hospital system with five hospitals based in Chattanooga: the Baroness Hospital, Children's Hospital at Erlanger, Erlanger North Hospital, Erlanger East Hospital, and Erlanger Bledsoe Hospital, located in Pikeville, TN. Erlanger is the 7th largest public hospital in the United States. Navicent Health is a designated Level I Trauma Center and a three-time Magnet Designated hospital for nursing excellence nationwide. It provides a broad range of community-based, outpatient diagnostic, primary care, extensive home health and hospice care, and comprehensive cancer and rehabilitation services. As a part of Central Georgia Health System (CGHS), Navicent Health is a 501(c)(3) private, not for-profit corporation. Formed in 2009 through the merger of TRC Insurance Services and portions of Merritt-Mckenzie, PointeNorth has been working tirelessly ever since to provide our clients and partners with exceptional insurance solutions. In 2012, we realigned our capital source to accelerate acquisition activity with a focus on Georgia and Alabama. Since that time, PointeNorth has fulfilled its vision, strategically acquiring or merging with independent insurance agencies to become one of Atlanta’s largest locally owned and operated independent insurance agencies. Today, we serve more than 45,000 businesses and households offering an extensive variety of products as a Trusted Choice™ Agency.